This post started by mentioning “Year of the Dragon” – so far no one has mentioned Mushu from Mulan, or Elliot from Pete’s Dragon, or Malificent from Sleeping Beauty/Fantasmic. All that aside, I didn’t see anyone mention above that a portion of the Dreamfinders vehicle is now part of the interior of the Mouse Gear store. Also, last year for the D23 event “Destination D: Walt Disney World’s 40th” the event concluded with an appearance by Dreamfinder and Figment – and got a standing ovation from the entire audience. I had the opportunity to enjoy the original attraction during the 25th anniversary of WDW…I was sad to see that it had changed when I returned. 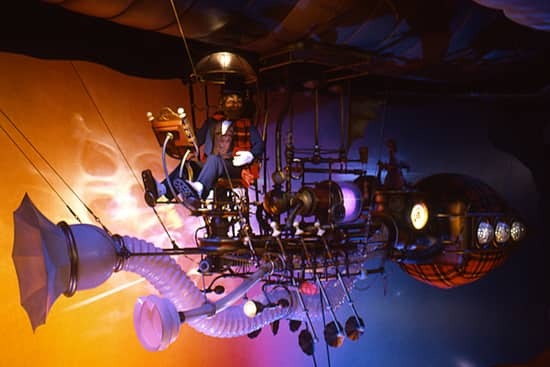 Bringing back Dreamfinder and the original attraction would be a great idea! I miss the original attraction and would do cartwheels if Disney ever brought it back! Unfortunately I do not know what the original ride was, but we always enjoy the “new” Journey to Imagination when we are at WDW. I would love to have the old ride brought back if it is a great as everyone says! I also wish that the Figment character was always around for visitors to greet – he is my daughter’s favorite and we were only able to get a picture with him once a few years ago! I miss the original Journey Into Imagination. That was a great ride. I stil have the plush Figment we brought home in 1988. He has a place of honor with Goofey, Mickey, Eyore and Donald!!! My whole family loves Figment, The first time we saw him was back in the late 80’s I’m not sure of the dates but the Dreamfinder did an act out side of the pavilion with a Figment puppet, my daughters were in love the second they saw this we have ridden the ride more than once every time we go to Disney . 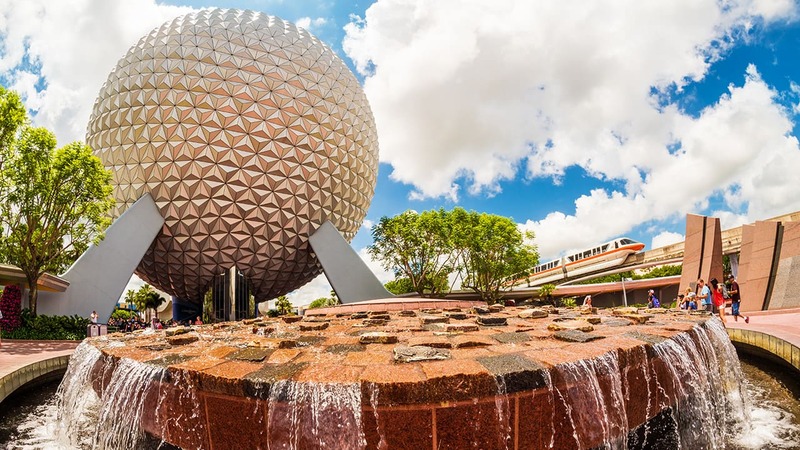 But we all agree the original was the best even the fun things to do after the ride were better.I know epcot is all about progress but sometimes you lose the spark on your way into the future. Bring back the original . It worked with the TiKi hut show we saw it in December and were trilled all over again. I was so excited to be able to take my son to see Figment & the Dreamfinder on his first trip there this past year and was so disappointed to see that it had changed. Having a big imagination of his own, he would have loved the original. I was one of those who expressed my disappointment when the Journey Into Imagination lost Figment several years ago. Happily, Disney folks got the message, and brought Figment back. There is still more that could be done to restore Figment’s role even more. GO FOR IT! I still have my Figment figurine that I got when I was 4 at EPCOT! I, too, loved the original ride, but I’m so glad Figment is still a staple at the parks! Figment is also one of my favorite characters but they shouldn’t limit his merchandise just to Florida. He has fans at Disneyland too. The original Journey into Imagination is one of 3 things that I remember from my first trip to Walt Disney World in the 80s. I actually still have dreams about that ride. When I finally returned again after almost 20 years, I was crushed that it had been changed. To me, the current version just feels so…sterile. It’s like the ride lost the spark. I do still enjoy an occasional ride now and then, but I wish that it could be updated to something closer to the spirit of the original. My dad and I visit Disney every year and Figment by far is our favorite! In 2001 I was co-chairing a national conference and was looking for a gift for the planning committee. I knew I could find something on the annual trip … I chose little Figment stuffies for each of them to thank them for the creativity and imagination they showed while planning an amazing event. They were thrilled and it really captured the essence of what we had worked to do as a committee. Maybe since this is the year of the dragon, Figment could be out and about more in the park. Wouldn’t that be fun! I will check on him in March …. This comes from a 64 year old grandmother who has always loved Figment. I actually have a Figment night shirt that ia about 20 years old. I stopped wearing it because it was wearing thin. I just can’t throw it away. Along with everyone else I loved the original Figment ride. I still go on the latest ride. I am disappointed with the small amount of Figment merchandise. I think I have more different pieces than the shop. Figment needs to be in all the shops in the front of the park not just the one by the ride. Bring back Figment & Dreamfinder characters so kids can discover them as we did years ago. Figment is my favorite!!!!! I agree the old ride was the BEST! I love seeing the old pictures and wish I could experience the original ride again. I miss the Dreamfinder and especially the contraption he was on at the end of the ride! Figment and his tour of the world of imagination completely inpired me to continually think differently about things. I have a small statue of him sitting on my desk inspiring me daily! 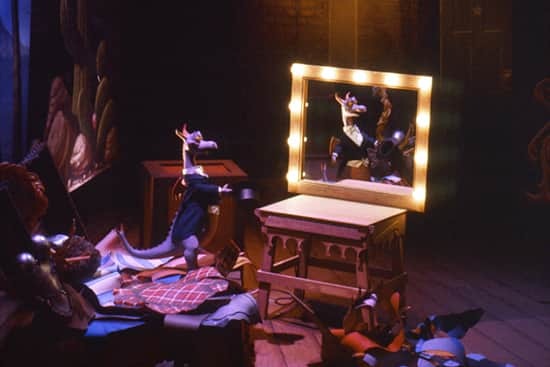 I LOVED THE VERY FIRST FIGMENT MUCH BETTER THAN THE SECOND OR PRESENT CHANGE.THE BEGINNING WAS THE BEST AND THE MUSIC AS YOU MOVED THRU THE RIDE. IT IS STILL IN MY HEAD.THAT WAS ONE RIDE THAT SHOULD NOT HAVE BEEN CHANGED. figment is the best I saw him in 1990 and fell in love. when i took my daughter back in the fall of 2011 i was a little disappointed in the new ride the original was so much better. I am a huge Figment fan. I have old and new Figment merchandise, and I’m always waiting for more to come out. Unfortunately, that’s few and far between. I wish it seemed like Disney would put more emphasis on Figment again. I already own just about everything that comes out… ! Disney needs to bring back Figment meet and greets. Figment was my favorite. Fell in love with him in 1982. I wish there was more collectibles of his character. He rides to work with me every day! Loved the original ride. Need more Figment souvenirs! Love Walt Disney World. It was my mother’s favorite character, also. She always took us to Disney World for vacation, so can’t help but think of her when I went this past January. Sometimes we just crave the old and familiar things we have always known, please bring back more of the original. I do so miss the original Figment. It was my absolute favourite ride and was truly “brain candy”. In the early 90’s we’d ride it then get right back on! … that song, from the scene with Dreamfinder, still gets into my head periodically! We’ve got a lot of Good Memories from that ride. I miss the original ride so much and I’m heart broken my son will never get to see this. 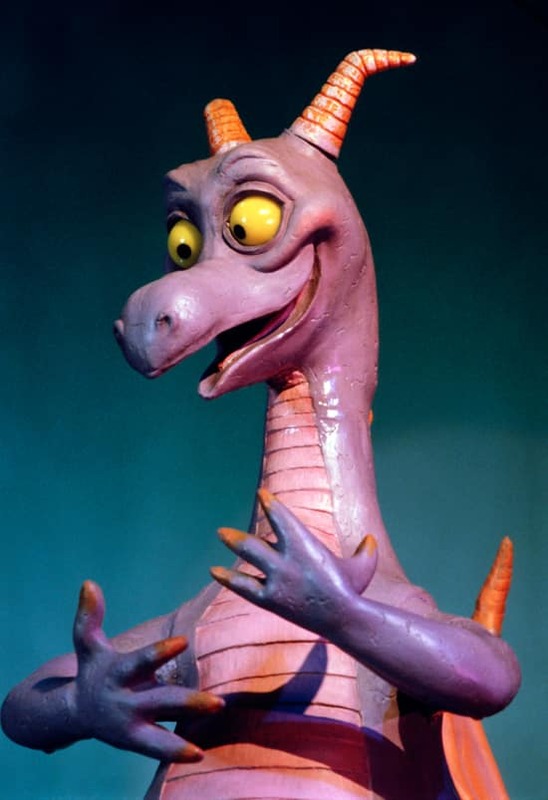 If we can’t have the original back can we a least have Figment out for meet and greets? I visited Walt Disney World and EPCOT for the first time last summer. Since I’ve never been to any of the parks before (except for Disneyland Paris), I’m not stuck with any nostalgic opinions upon which rides should be preserved and which ones should be replaced, and I acctually think that the Journey into Imagination with Figment-attraction is marvelous, and it instantly became one of my favorites. STILL! I would LOVE to see the old attraction staring Figment to be re-installed. Even though I’ve only come in contact with the newest ride, I instantly fell inlove with the character – and I definitely think that he should have a much bigger role in the park. My children grew up with Figment since we’ve vacationed to Disney World in the 1980’s. Now my grandchildren love Figment and his area in Epcot. Keep Figment alive and add to the attraction as much as possible. LOVE FIGMENT!!!!! I loved the original and I still love the new ride. Sometimes my neices and nephew make me sing the Imagination song at dinner. Fun times! Disney needs to revive Journey Into Imagination by making it a Buzz/Toy Story Mania style ride!!! We LOVE Figment! My girls have loved him from the first time they met him. Everytime they think about him they want to know why they cannot see him anymore (the character). I told him that he retired, but they just do not understand (neither do I). Well from what I have read so far it is pretty much unanimous, that everyone liked the original ride. I do think Disney listened when the second ride was replaced with the current ride. So much better, but… I agree also that the gift shop needs to address the fact that Figment is a “hot” item and market more items. Fun colorful items, not like the latest dark purple t-shirt with a figment that does not stand out and hard to see. Like everyone else, I too have my special items, one a coffee cup, and the other is an extremely thread bare sleep shirt. It was bright purple with a picture of Figment on it wearing a white shirt with Mickey Mouse on it! Disney at it’s best, combining the two great icons! Also make it available at other locations. Here is a thought, at Disney Marketplace(Disney Village) put in an Epcot merchandise store where you could buy that item you did not buy but wished you had. I have been a Figment fan since I first visited Disney world in the early 80’s. Some 30 years later I still collect him throughout my house. I have even created a Figment day for my children. The tv and all electronics are turned off and they need to use their imaginations, be as creative as can be! Love Figment!!!! I LOVE Figment and Dreamfinder. When Epcot opened they were, to me, like the mascots. Never to undermine Mickey and the Gang, I think the original ride and characters should return to Epcot. Imagination…..what a wonderful tune. It was with me the whole day through. Wish I could show my girls what I saw and loved. Figment is my favorite as well. It all started back on my first trip in 1989 as a kid. I got a picture with the Freamfinder and Figment. We enjoy the new ride, but it will never compare to the old one with the DreamFinder! I wish they would bring it back. I, from what I understand, was lucky to miss the 2nd version with Figment! I will however continue to ride this version and hope they never take Figment out completely! Last year, I also was happy to find a Figment long sleeved tee. I bought it! One of my favorite memories is my kids playing with Dreamfinder and Figment outside of the ride. If you can’t bring back the ride bring back Dreamfinder and Figment as face characters please. One of the rides I was definitely NOT going to miss on my last visit was to see Figment! I was disappointed when the ride wasn’t the same. The first time I went to Disneyworld was in the mid-80’s, and I purchased a Figment pin. I still have it!! I was ‘reorganizing’ and was not able to put it in the ‘throw away’ pile. I don’t know when I’ll be back to the park, but I hope to see Figment again. I could not agree more about bringing back the original ride. It symbolizes everthing that WDW stands for. The creativaty, imagination and fun Walt saw in everyone of us!!!! I also prefer the original ride to the current iteration. I am not sure why Dreamfinder lost his job…. Wish you would return to the original ride. This one is not as good. I actually had my picture taken with Figment & the Dreamfinder during our family trip in 1986! Please refresh my memory – I remember how much I loved the old ride. Was it a track/car ride or was it a boat ride? I wish there was a way to combine qualities of the old ride with the new one.